The human nervous system and its health is a primary concern for anyone truly interested in antiaging. There are many chronic diseases and complications such as diabetic neuropathy, and erb's palsy that arise from a lack of nerve health thus nervous system healing is key to a long and healthy life! and the PNS or peripheral nervous system which is made up of all the nerves that are not part of the central nervous system and lie outside the brain and spinal chord. The nervous system is involved in all bodily functions and nerve tissue is found all throughout the body including skin, organs, eyes, ears, ect. It can be compared to electrical wiring and is surrounded by a layer of insulation called myelin. Myelin ensures the electrical impulses travel along the nerve pathways from the brain to their end points in various body tissues. 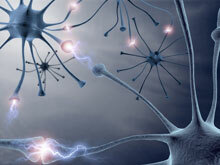 The human nervous system essentially allows the brain to communicate with, and run the various functions of the body. Chronic diseases, which affect the nervous system, can cause problems with every aspect of body function. Serious disease such as diabetic neuropathy, or Erb's palsy can have devastating effects on health and quality of life for people who have these conditions. It would take far too long to list and discuss all the diseases that can affect your nerves, so I will focus upon ways in which you can maintain nerve health and promote nervous system healing. Optimal intake of b-vitamins is essential for maintaining the health of your nervous system. The best form of b-vitamins are methylated which allows the body to more efficiently complete the process of converting Homocysteine to the anti-oxidant glutathione. The human nervous system requires glucose to function properly, however chronically elevated glucose can result in damage to the nerves via glycosylation It’s important that you maintain normal blood sugar levels through proper diet and appropriate nutritional supplementation. Proper hydration is extremely important for ensuring normal nerve function, as the electrical impulses that travel through the nerves require the proper electrolyte balance to be conducted properly. Thus the body needs sufficient water throughout the day, and especially in warmer weather. Proper exercise also has a role in nerve health as the electrophysiological stimulation of your motor neurons firing during exercise helps maintain proper nerve function. Although this is speculation on my part, I believe that strength training as well as cardiovascular training is an essential element in this process. Frequency Specific Microcurrent is an energy therapy that can successfully treat nerve pain. Thus FSM can be successfully used for nervous system healing as the device can be attuned to the precise bioelectrical frequency of the nervous system disorder. The human nervous system may also benefit from creatine supplementation, and also from nootropics but these areas are still being researched. You should avoid the use of CNS (central nervous system) stimulants like caffeine or ephedrine as these can over stimulate the CNS, exhaust your adrenal glands, and cause heart arrhythmias. There are many approaches to nervous system healing that must be coordinated properly to do the job of maintaining nerve health safely and effectively. An antiaging physician that has extensive knowledge of the human nervous system can help you put together a program for maintaining a healthy and fully functional nervous system, whatever your age!